My friend , a real estate guru, asked me the other day if we could create a “radio blog” for him to offer up all of the different interviews on shows, local radio interviews and his own show. It’s funny that no one really called it a “Radio Blog” before. Video blogs have been around for 10 years, even before YouTube became well known, and internet radio and podcasting pre-dated video. So here’s some easy steps to take your audio files and create a radio blog. (1) Make sure your audio files are in MP3 or better format. Goto http://www.online-convert.com — this place is great if you’re not a audiofile or have a wide skill set in formats. The service is free and quick. Not only does it convert your audio files, but video, images, documents, data, even ebooks. (2) Setup a self-hosted WordPress blog/website. You can either do this on a new domain or on your current website. If you don’t run your own server, or spend a lot of time as your web admin, check with your hosting company. Almost all them have a one click install for WordPress, the most popular online publishing platform. (3) Install a “podcasting” plugin. 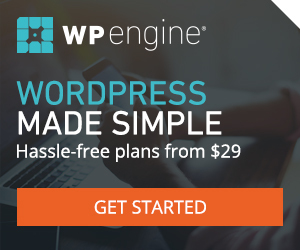 There are a variety to choose from at WordPress.org for free, and some paid. (4) Load up your audio files. (5) Pay close attention to the data fields that are available and to your Schema as Google, Facebook and others are now cataloging audio files based upon this data. See my article on Configuring Schema for Audio Files. This will help your be properly indexed by the search engines and social media sites like Facebook and Twitter and boost your Search Engine Optimization while generating more listeners. (6) Images — if you don’t have images to go along with each individual broadcast consider making them up yourself with a free tool like www.canva.com. (7) Promote your new “radio blog” — put a link to it in your Email Signature, put a link on your website, promote it on social media and list it a the top podcasting directories. There are a lot of other tips and tricks, but this will get you started leveraging your existing audio content in a new or existing “radio blog”. Founder and CEO of VoiceAmerica.Com Jeffrey Spenard and Vice President of Broadcast Operations Ryan Treasure bring to the VoiceAmerica.Com Worldwide audience Finding Your Frequency Radio. The show, developed by Jeffrey and Ryan, narrate and catalog the instructional guide to honing your message and leveraging available platforms to extend your brand reach.Tune in as they discuss their backgrounds in Media and the history of the VoiceAmerica Talk Radio Network. Join us weekly or on demand to learn about the trade, educate, and Find Your Frequency.